I hope that you are all enjoying the summer and having the chance to get on the water to practice our beautiful sport. In Europe, we have had one of the sunniest summer months ever, which is fantastic for sailing! But, unfortunately, we have also seen an increase in accidents. As you know, safety is the top priority for World Sailing so I encourage you all to always be safe. This last month, the main action on the water took place at the 2018 Hempel Sailing World Championships in Aarhus, Denmark. We had the pleasure of welcoming 87 Sailing countries competing in 10 Olympic sailing classes plus Kitesurfing. It was a fantastic competition and I have extended my congratulations to all the sailors who competed – well done! During my time at the World Championships, I also had the opportunity to welcome our friends from the Olympic family as well as some of our greatest sport personalities and heroes. I cannot express what a pleasure it was to show our Olympic friends the best of Sailing – again a big thank you goes to the 1,500 sailors who gave a great performance during the 14 days of competition. In addition, more than 400,000 visitors could enjoy the excellent competition and watch our top sailors rake in the medals - included among our stars were more than 40 Olympic medalists, numerous America’s Cup personalities and Volvo Ocean Race legends. 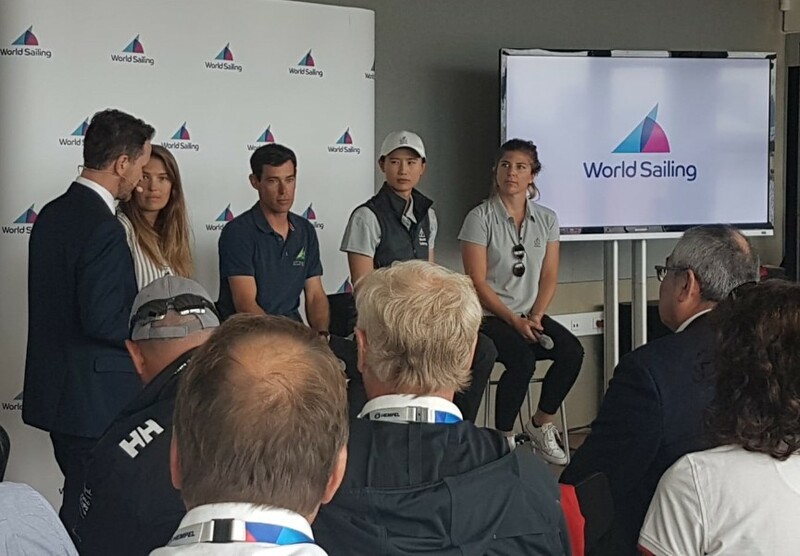 On the media side, I am pleased to say that the great work and efforts made by the World Sailing team and our media partners in making our sport more media-friendly was clearly on display at the Sailing World Championships. Working with top companies such as SAP analytics, Sunset & Vine and Sailtracks has given us the opportunity to develop an innovative and more understandable presentation of sailing. By adding new animations and creating a new visual experience this has helped to make our sport more attractive and has allowed us to capture the attention of thousands of sailing enthusiasts, sport media and new global audiences. I am also happy to inform you that the Championships were broadcast in 39 countries, accessible in over 190 territories reaching an expected household audience of one billion people. This is a great example of how we must take advantage of this fantastic high-quality coverage to further develop our sport globally, regionally and on a MNA level. In addition to this, our TV coverage increased due to our cooperation with the main Danish television network who used the same technical capacities used for their "Tour de France" coverage to ensure a successful televised exposure of our World Championships. Despite some weather challenges, it was great to see how live TV coverage was working with all the great content available. But a big thanks must also go to the team of commentators comprised of sailors and journalist with a deep insight of the sport and our sailors who kept audiences captivated throughout the event. This shows that one of our biggest limitations, weather variations, can be overcome with an optimal setup. 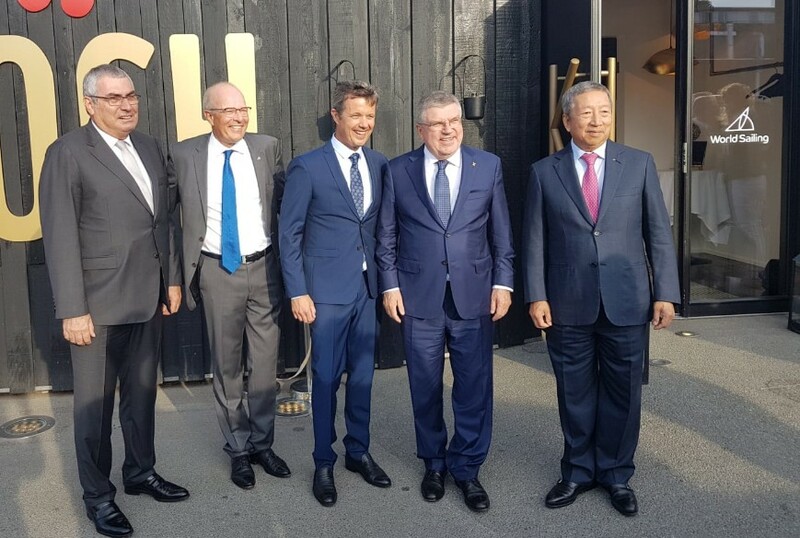 During the Hempel World Championships, we had the great pleasure of welcoming HRH Crown Prince Frederik of Denmark (and IOC member), IOC President Thomas Bach, IOC Vice-President Ugur Urdener, H.H. Sheikh Khalid Bin Zayed Bin Saqr Al Nehayan and IOC member as well as former Vice-President of World Sailing Ser Miang Ng, along with other great supporters of our sport. During the time they spent onsite, we had the opportunity to give them a first-hand account of our sport. This included providing them perspective on the evolution and development of sailing these last years, giving insights on our future plans, including them in a dialogue with our top athletes – which comprised of an expert panel of distinguished Olympic medalists, and finally getting them on the water to enjoy a race. I have to say that the guests were very impressed with the size of the venue on and off shore, the organization of the event, the venue logistics, our sustainability programme and the sport presentation conducted on site and by the media. The IOC President Thomas Bach praised us in the media, stating: "The Olympic spirit is felt at these Championships. The atmosphere is like being in an Olympic Village!" I would like to use this opportunity to congratulate the organising committee and the city of Aarhus for hosting a fantastic Sailing World Championship as well as for making the sailors and the sailing community feel at home! Development of Gender Equality – Many athletes are supporting the need for the development gender equality in our sport. And they believe that for a sport to stay relevant for the future and especially for reaching out to youth, this area needs attention on a national, regional and global level. Increased initiatives focused on sustainability, environment and e-sports – Looking to the future, there is a need for World Sailing to proactively look at increasing initiatives in specific areas that allow us to engage with the next generation of youth. By focusing on sustainability, environment and e-sports these areas allow us to strengthen the profile of our sport. Review of events strategy – with the next quadrennial soon upon us, there is a need to do a full review of our events strategy. Our sport is complex and as such our events must to take into consideration needs from our athletes and our MNAs – suggestions that have been made include for our traditional multi-events around the world to be ranked based on specific criteria (quality, participation, etc). Meaning that all events that are ranked should then be part of the World Cup qualifying rounds for the World Cup final. Review of regatta calendar – The current event structure is proving to be a planning challenge for many sailors as it is does not facilitate the best turnout at major events and as a result is costly and ineffective. In my discussions, there have been some interesting suggestions to improve the calendar. Including combining regional events for Olympic classes, with the objective of making the planning and the costs more efficient. Another interesting suggestion is raising the profile of these events for the benefit of the classes and sailing in general. Finally, a good solution could be to have one combined European in a quadrennial and three to five combined Olympic classes in the years between. With the Asian Games already in full swing and Sailing wrapping up this weekend, I am very happy to be able to join our athletes and MNAs onsite in Jakarta! 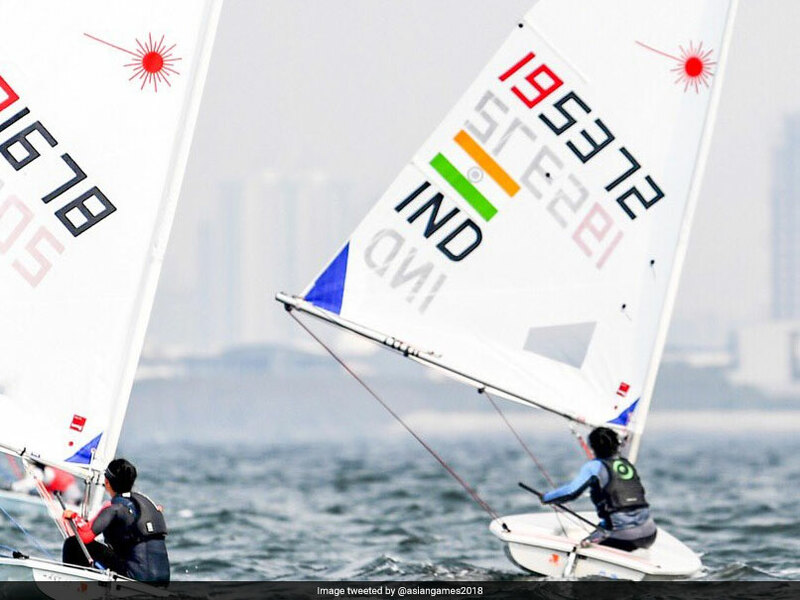 As you all know, sailing shares a long history with the Asian Games, having first been included at the VI edition of the event back in 1970 in Bangkok. We have progressed so much these last 40 years and now have the great opportunity of watching 145 sailors compete in 11 classes to become the next Asian champions. The commitment and dedication of our sailors and officials in the region has enable the entire sailing family to make great strides forward. I would like to wish all of our athletes the best of luck during these final days of competition!